Amos Lee performing at the Woodland Park Zoo in Seattle, WA. 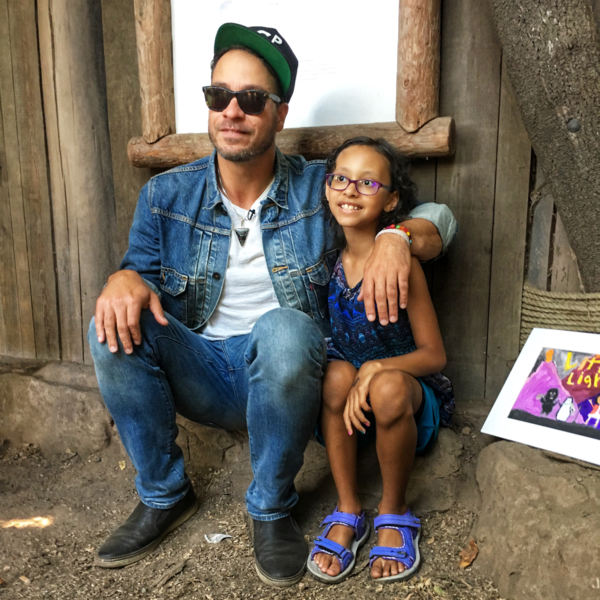 Amos Lee with Maya at the Woodland Park Zoo. 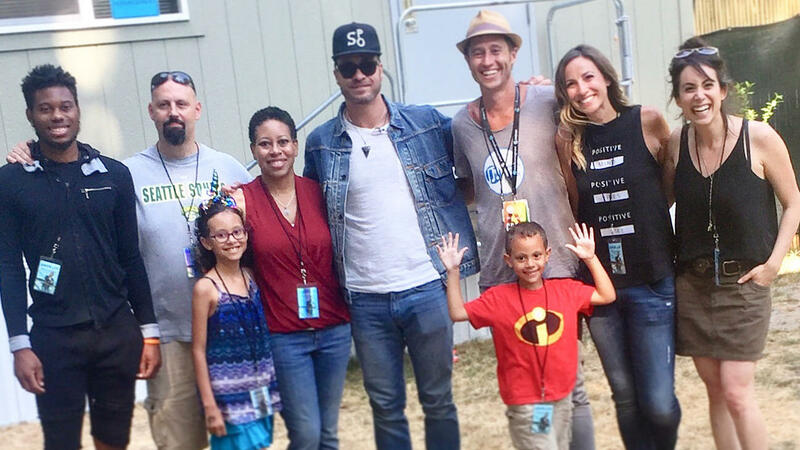 Amos Lee with the Gladhart family — (left to right) Jerren, Pete, Maya, Jackie and Brayden — as well as Melodic Caring Project Founders Levi and Stephanie Ware and World Cafe host Talia Schlanger. "What inspired this song?" That's one of the most basic questions we ask artists when they share new music. Sometimes that question leads to an interesting answer, sometimes it leads to a cryptic answer, but rarely does it lead to a flight across the country to spend a day at the zoo with a remarkable nearly 9-year-old girl and her family. 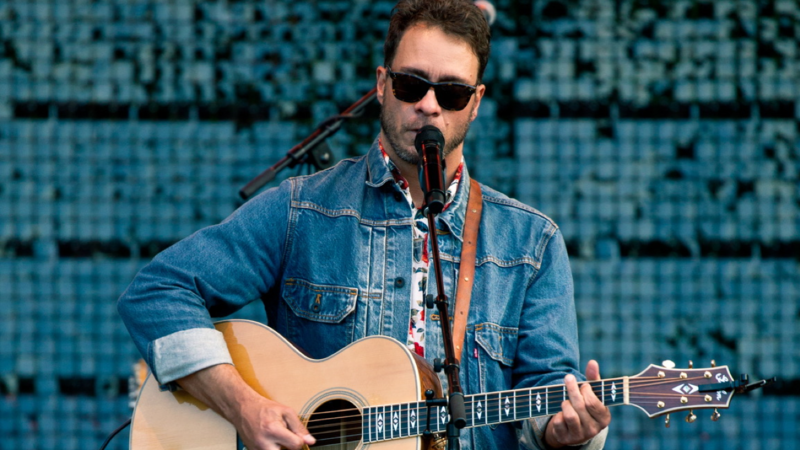 The song in question is an unabashedly optimistic tune called "Little Light," which stands out among the complex, twisty and sometimes even dark material on Amos Lee's new album, My New Moon. The inspiration is Maya (or "Mighty Maya" as they call her) who lives in Seattle. And the story of Amos and Maya's friendship begins nearly two years ago when Amos teamed up with a Seattle organization called Melodic Caring Project. The group livestreams concerts to children who are sick, and has the artists deliver personal shout-outs to the kids during their shows. In November 2016, after saying hello to Maya during his streamed concert, Amos went to meet her in person and was struck by her strength and spirit. 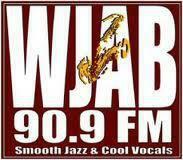 At the time, she was 7 years old and had recently been diagnosed with kidney cancer. He began texting with Maya and her family and offered to help in the best way he knew how — through music. Amos sent Maya songs to cheer her up on some of the toughest days and to serve as lullabies on sleepless nights. Many of those songs (including a cover of "Let it Go" from Frozen and an original called "Pink and Purple") were just for Maya. But Amos decided that one song he was inspired by Maya to write, called "Little Light," needed to be a part of his new record. In early August, I met up with Maya, her family and Amos before his show at the Woodland Park Zoo in Seattle, where Amos premiered the bright, shiny studio version of "Little Light" for Maya for the first time, and we listened back to some of the other songs he sent during her treatment. We also celebrated Maya's upcoming 9th birthday and ongoing remission, and Amos shared the career-changing exchange he had with another family years ago in Massachusetts that reoriented the way he thinks about his mission as an artist and what it truly means to be of service. You can hear the whole story from Amos and Maya in the player above — and then come along to a mini-concert at the zoo below.